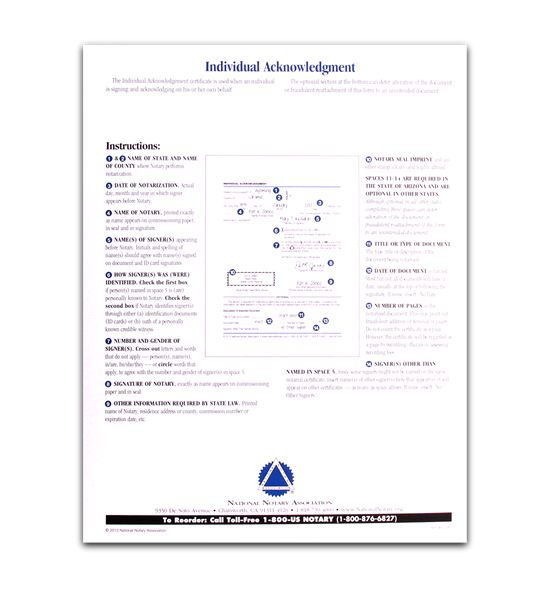 The Individual Acknowledgment certificate is used when an individual is signing and acknowledging on his or her own behalf. 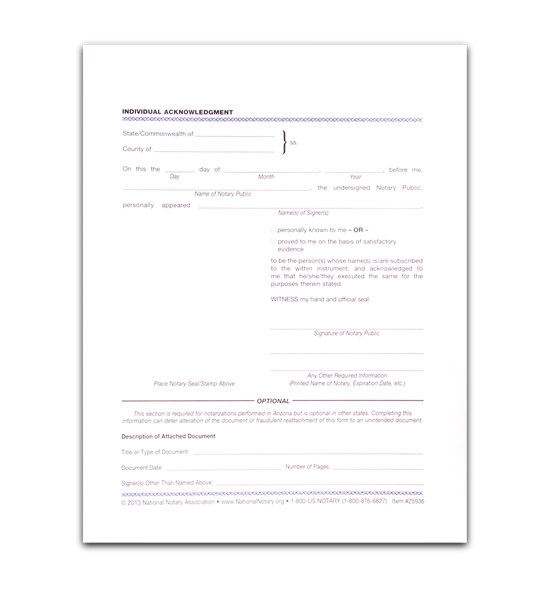 The certificate is a convenient solution when there’s no room for your seal, when wording is incorrect, when there’s no certificate at all, and other common problems. Pad of 100 certificates.